A judge ordered Manafort be moved from 'VIP' facility in rural Virginia. Paul Manafort arrived at an Alexandria, Va., jail Thursday after a federal judge ordered U.S. Marshals to move the former Trump campaign manager from a rural Virginia facility this week. Judge T.S. Ellis, who is presiding over Manafort's trial in Virginia beginning in two weeks, on Wednesday denied Manafort’s request to remain at the Northern Neck Regional Jail in Warsaw, Va., where Manafort told associates he was being treated like a "VIP," according to a recorded phone call revealed by prosecutors with special counsel Robert Mueller's team. But within hours of the judge’s order, attorneys for Manafort asked that their client remain at Northern Neck Regional Jail, citing “his safety," among other things, even though they had complained his detention there was hurting his defense. Last week, attorneys for Manafort asked the court to delay Manafort’s trial, claiming their client’s detention at the rural facility put an unfair burden on pretrial preparations and specifically cited the distance – more than 100 miles – from Warsaw to Washington, D.C.
On Wednesday, Ellis denied Manafort’s request, and for the second time in as many days ordered him to be moved. Manafort has been held at Northern Neck Regional Jail since another federal judge, presiding over his case in Washington, D.C., revoked his bail last month. Prosecutors with the special counsel asked the judge to jail Manafort after learning that he had attempted to contact potential government witnesses in the days after Mueller brought a superseding indictment against him. 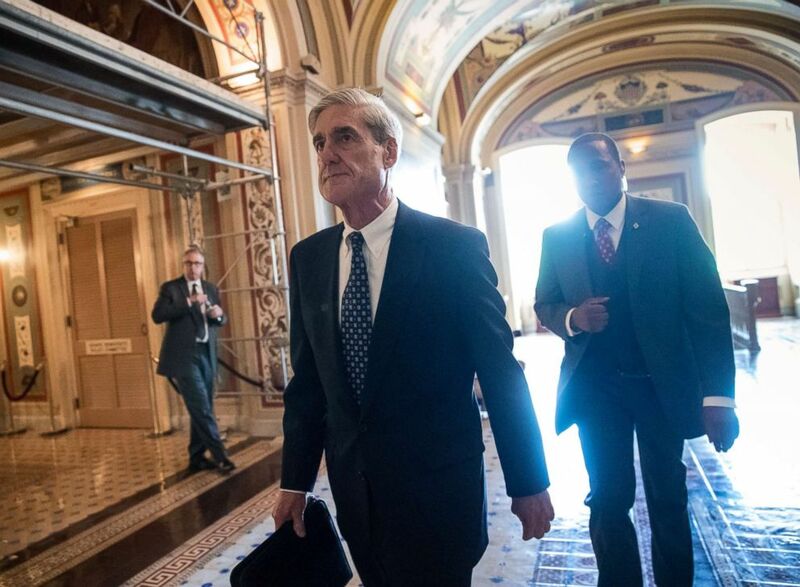 Mueller’s special counsel team has hit Manafort with three superseding indictments in two federal courts – Washington, D.C., and Virginia – amounting to more than 40 charges related to money laundering, tax and bank fraud, conspiracy, and other financial crimes that largely predate his time on the Trump campaign. Manafort has pleaded not guilty to all charges. Manafort’s previous bail agreement had allowed him to remain at his tony Alexandria, Va., condo with a GPS ankle monitor. During his time at Northern Neck jail, ABC News reported that Manafort stayed in a cell by himself in the facility’s VIP section, surrounded by walls painted in two shades of brown: bagel and biscuit. Manafort received three meals a day in his approximately 14x14 foot VIP section cell, which came equipped with a toilet, a shower, a place to sit, a small table, a TV with basic cable, and a phone to make outgoing collect calls. Manafort's trial in Washington, D.C. is set to kick off in September.